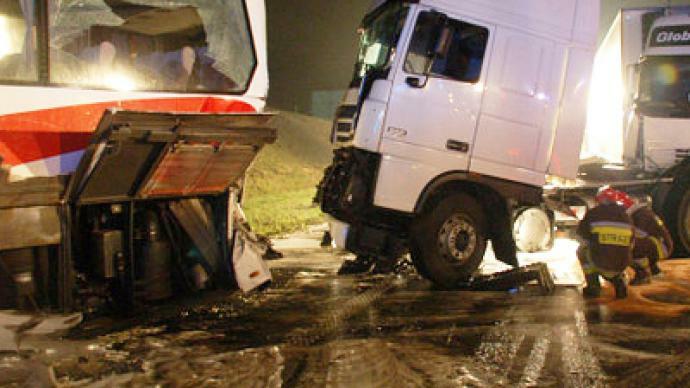 Nine people have been killed after a bus hit a truck on a highway near a small village in central Russia. 26 others are being treated for injuries. Police say the bus collided with the truck head on, after the bus driver veered on to the wrong side of the road. Early reports, from an ongoing investigation, suggest the driver may have fallen asleep at the wheel.